The Parish Church of Derriaghy was erected in 1871 consecrated in 1872 and is a listed building noted for its outstanding architectural beauty. Prominently situated on a sloping hill at the entrance to Derriaghy Road, it is surrounded traditionally by a copse of mature trees. The church affectionately known as Christ Church has a unique tall slender spire which is bedecked with a superb Virginia creeper possibly as old as the church itself. The setting has proven to be a favourite subject for artist and photographer alike. The picturesque pastoral surroundings overlook the Lagan Valley Regional Park to the east, Colin to the north west and to the north the Black Mountain and Cavehill, Belfast. The name of the parish, Derriaghy, derives from two Irish words meaning The Valley of the Oaks. The origins of the parish date back to the eleventh century although the earliest reliable documentary evidence dates from 1204. The first rector of the parish was the Rev. Milo Whale. In modern times parishioners often refer to the rector as vicar, a usage which goes back to mediaeval times when in 1356 Richard Fitzralph, a famous Archbishop of Armagh held the lands and rectorship of Derriaghy and appointed a vicar to administer the parish. St. Andrew's Church, consecrated on the 21st June 1957, was built to serve the growing community of Colin. It is a bright spacious building with panoramic views of the Dromara Hills, the Mourne Mountains and the Carlingford Mountains to the south with the Lagan Valley and Belfast Lough in the immediate perspective. The oldest register of the parish dates from 1696 - 1772. Historical records have been well preserved and credit for the research, reappraisal and recording of facts must go to a former rector and Dean of Connor, the Very Rev. W.N.C. Barr and senior parishioner, Mr. W.C. Kerr to whom the parish is indebted. Extracts have been taken from various publications with the consent of the authors. Today, the church has a stable population whilst the eighties saw a decline in numbers due to demographic changes. The church records a small increase at present. Parish population is four hundred and twenty families with an average church attendance of two hundred and twenty. The youth organisations consist of scouts, cubs and beavers for boys in addition to guides, brownies and rainbows for the girls. The youth club which meets on a Wednesday night provides fellowship for both girls and boys. The Mother's Union, Choirs and Bowling Club provide a busy schedule for adult members. Biographical notes on the incumbents of Derriaghy during the period covered by entries in the register 1696 - 1772. A former Fellow and Vice Provost of Trinity College, Dublin. Joseph Wilkins had become Rector of Lisburn against all expectations. When James Mace, his predecessor, died in 1670 Sir George Rawdon wrote to Lord Conway, who improperly claimed the presentment to the incumbency, that he and the primate favoured Mr. Clulo, this despite the fact that Wilkins was married to Rawdon's niece. However in 1671 Joseph Wilkins was instituted to Lisburn and so became also vicar of Derriaghy, which was still united to Lisburn. The Lisburn vestry minutes testify to his scrupulous attention to every detail of his pastoral responsibilities and especially to the structural improvements he carried out to the church in Lisburn. He appointed a curate to attend to the needs of Derriaghy Parish. The fire which destroyed the church, castle and most of the town of Lisburn on April 20th. 1707 did not dishearten him. At a vestry court on June 22 he launched plans for rebuilding the church. He had also showed his devotion to duty by making sure that the church registers escaped the flames. But his stricken parish had enough to do in coping with its own problems, and it must have been a relief to Dean Wilkins when Derriaghy was separated from Lisburn in 1707. During his thirty years as vicar Gayer saw his congregation steadily grow, and the minutes record the building of additional seats and the erection of a gallery on the west wall, also the road maintenance programme was commenced. Why John Gayer did not continue to serve until his son took over is not explained, he is said to have retired to a farm in Derriaghy and residence now occupied by Mr Wesley Withers at the Osier Cross and to have lived until 1745. Dr. William Reeves, Bishop of Down, Connor and Dromore, was a direct descendant of John Gayer. When he was bishop he lived in the house which stood on the site of the present Conway Hotel. Although the Trinity matriculation book records that Philip Gayer was born in Derriaghy, his baptism is not recorded in the parish register. Educated by Mr. Clark in Lisburn, he graduated B.A. at Trinity and was ordained in 1721. His first curacy was at St. Catherine's Dublin, where Henry Echlin was rector. Gayer married his daughter Agnes. He was curate at Carrickfergus until he moved to Derriaghy. One of his duties at Carrickfergus had been to supply straw and bread to prisoners in the county gaol. The grand jury granted him for this purpose thirty pounds in 1730. As soon as he became active as vicar, the minutes record that he was a stickler for precision and detail. The poor money accounts came in for scrupulous examination and the road maintenance programme was described each year in exact detail from the stretches of road to he repaired to the parishioners required to work on each stretch. Gayer also had the steeple of the church slated, the church given a plain ceiling and an altar piece installed. He had two sons, William Watts Gayer and Edward Gayer. Not only did they become joint clerks of the Irish House of Lords, but they married sisters. Edward and his wife became followers of John Wesley, who stayed several times in the house at the Osier Cross, and a yew tree in the Gayer garden under which Wesley preached is still standing. A Dublin man, the new vicar William Lill, was presented by the primate on February 16th 1755. It would appear that he regarded Derriaghy as a temporary halt in his career. He signed his last minutes on March 30th 1757 and appears to have been absent from the parish in early 1756 when the minutes were signed by Anthony Sampson, described as curate. During his brief incumbency the only notable event recorded in the minutes is the purchase of a carpet for the communion table. Lill's successor as vicar was a local man, son of Roger Hodgkinson of Lisburn. It is most unfortunate that the vestry minutes break off less than two years after Hodgkinson's arrival. The last minute in the register was signed by him on June 19th 1759. What happened to the succeeding minutes is not known. His incumbency witnessed the commencement of a programme of building and maintenance, including tine construction of a vestry room and repair of the steeple. Philip Johnson, son of Thomas Johnson, who was vicar of Magheragall and at one time master of the Latin School in Lisburn, was instituted vicar on June 10th 1772. He was unique among the vicars of Derriaghy. A graduate of Glasgow University (M.A. 1771), incumbent for sixty one years, justice of the peace, he played a major part in the political activities of that troubled time as well as carrying out his religious duties. As Deputy Governor and Treasurer of County Antrim he was concerned with the preparation for defence against the threat from the United Irishmen and himself took command of a company of yeomanry - the Ballymacash Infantry. He lived at Ballymacash House. Being moreover County Grand Master of the Antrim Orangemen he made enemies and after several attempts on his life, he was wounded in an ambush in Lisburn in 1796. However he survived through all the troubles and despite his political opinions was held in high esteem by his Roman Catholic neighbours, whom he helped rebuild their chapels in Derriaghy and at the Rock, which had been burned by extremists. He did not neglect his church. The building was radically- improved and enlarged and a new gallery installed also additional ground was taken to provide a large graveyard and several schools were built. A booklet published in 1814 was written with the object of clearing his good name and justifying the public role he played at the time of the 1798 rebellion. In more recent times Derriaghy Parish has been served well by John Godfrey King 1936 - 46. Patrick Ashton Gregg Sheppard 1946 - 60. William Norman Cocharane Barr 1961 - 1990 and George E. Graham 1991 - 9 6. Reverend J. G. King, who retired from the ministry in 1971, was a Canon of St. Anne's Cathedral from 1957 after periods in St. Matthew's, Belfast and in the parish of Layde and Cushendun. Reverend J.A.G. Sheppard, who had been a curate in Derriaghy from 1936 to 1941, returned as rector in 1946. During his tenure much building work was undertaken, the old stables being converted into a parochial hall by the vicar and voluntary helpers. The building of St. Andrews's Church at Colin was completed, and the opening and dedication took place on 1st June 1957. The Canon Quin Memorial Hall, for which plans had been made in 1953, was also dedicated in 1957. Mr Sheppard became rector of Ballydehob in Co. Cork in 1960. His successor, Reverend W.N.C. Barr was welcomed in the following year. Under the new rector's guidance changes in the parish an improvements to church property continued. What had been a rural area soon became almost urban due to the increase in house building and so in 1963 the Moss Road area became a separate parish, taking the name Derryvolgie. In 1967, as new houses in the region became occupied, Ballymacash too separated from Derriaghy and became an independent parish. The main building work carried out was that of the new parochial hall which was dedicated in October 1966 and quickly became a centre for parish activities. 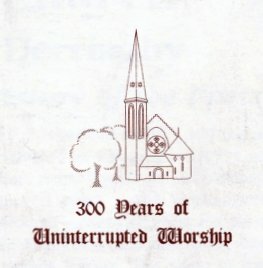 In 1972 the centenary of the present church building, Christ Church, was celebrated. The new school in the parish was opened in 1964 and in January 1965 the previous school and the teachers' residences were returned to the church. The Church of Ireland Education Board leases the building to Derriaghy Youth Council which meets there regularly. In 1972 the rector was appointed Rural Dean and in 1980 became a Canon of Lisburn Cathedral, being Prebend of Cairncastle. From 1982 until his retirement in 1990 he was Dean of Connor. The present rector, Reverend G.E. Graham, formerly rector of Broomhedge, was instituted in January 1991. On 18th March of that year the select vestry approved a motion to sell the vicarage. The sale took place in October 1991 to buyers who decided to extend the existing building to make a nursing home, now known as The Old Vicarage Nursing Home. The new rectory designed by the Lisburn firm of Knox, Clayton and Whitley was dedicated by the bishop, the Right Reverend S.C. Poyntz, on 5th September 1992. Extracts from the oldest register of the parish dating 1696 - 1772 are worth noting. The parish in the eighteenth century was far from wealthy. Nevertheless the vestry was conscious of its responsibility to the poor and throughout the period covered by the register frequent poor money entries are to be found. There is also the statutory obligation to provide for the maintenance of orphans and foundlings. This is also reflected in the minutes. From 1615 Irish parishes were obliged to keep in repair any roads in the parish leading to a market town. They had to provide the money, materials and labour from their own resources and the constables and church wardens were liable to fines or imprisonment if they failed to appoint overseers for road repairs on the Tuesday or Wednesday after each Easter. Each parishioner had to contribute his labour for six days to be announced in church and the repairs had to be completed by midsummer day. Short biographical notes on some persons signing or mentioned in the vestry court minutes. Richard Skelton had settled in the parish towards the end of the seventeenth century marrying Annabella Cathcart, the daughter of a local farmer. Not long after his marriage, his first child was born in 1684. He was caught up in the war between William of Orange and James II. He was conscripted as gunsmith into the latter's army and his family took refuge in Islandmagee. Returning to his farm after the war Richard brought a large family the last of whom was born in 1709. He is believed to have played a major part in the restoration of the parish church which, as we have seen, came back into use in 1696. He died in 1717. His youngest son Philip made the greatest mark. Despite an early disinclination to study at the Lisburn Latin School and an addiction to country sports such as long bullets, he graduated at Trinity College Dublin at the age of seventeen. He then began fifty nine years of clerical life. Eccentric, unorthodox, learned and popular he spent most of his time in parishes in west Ulster, but died in Dublin in 1787, leaving behind a trail of stories which enabled Samuel Burdy to publish a most entertaining and instructive biography in 1792. The Seed or Seeds family were long prominent in parish affairs. Though none of the family now reside in the parish the family grave is still used by members. An interment was that of Sir William Seeds, formerly British Ambassador to Russia, who died in 1973 at the age of ninety one years. The family known as Bulmer, Bullmer and finally Boomer still lives in the parish. They were of French, probably Huguenot origin, and first came to public notice in the person of Renee Bulmer, a blacksmith in Lambeg at whose smithy William of Orange stopped on his way south to have a horse shoe attended to. The family link continues to this day with parishioner René Boomer of Marna Brae. of the parish of Derriaghy. for nearly the same term. as an officer of justice. estimable qualities of his private life. To the glory of God and in memory of William Charley, DJ of Seymour Hill O.B. 1890. This organ is erected by friends and parishioners in grateful recollection of the many eminent services rendered by him to the parish 1904. Sacred to the memory of Henry Boomer who died 22nd December 1906 hating faithfully discharged his duties for SS pears as sexton of this church. Erected by parishioners and friends.